The greatest saga in sword-and-sorcery history begins - the saga of Conan! 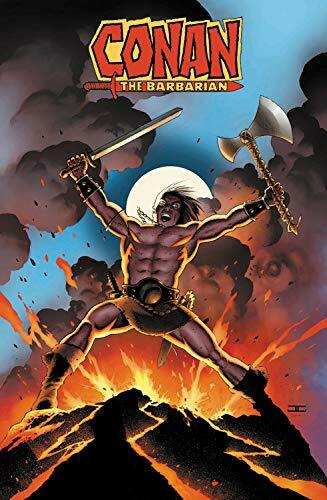 Born on a battlefi eld in the frozen lands of Cimmeria, Conan fights his way through the untamed Hyborian kingdoms, sparing no man, woman or wizard his wrath. His adventures will become legend. He will become king. Roy Thomas and Barry Windsor-Smith brought Robert E. Howard's iconic creation to four-color life with work that set new standards for comic book storytelling. Marvel is honored to present each story, each cover and each letters page - all painstakingly restored to match the majesty of the original editions. In these early exploits, Conan ventures from his homeland for the fi rst time, honing his skills as a thief, mercenary, pirate and above all, warrior! 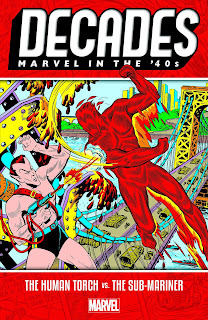 Celebrate 80 years of Marvel Comics, decade by decade - beginning with the first two superstars of the Flying Forties! 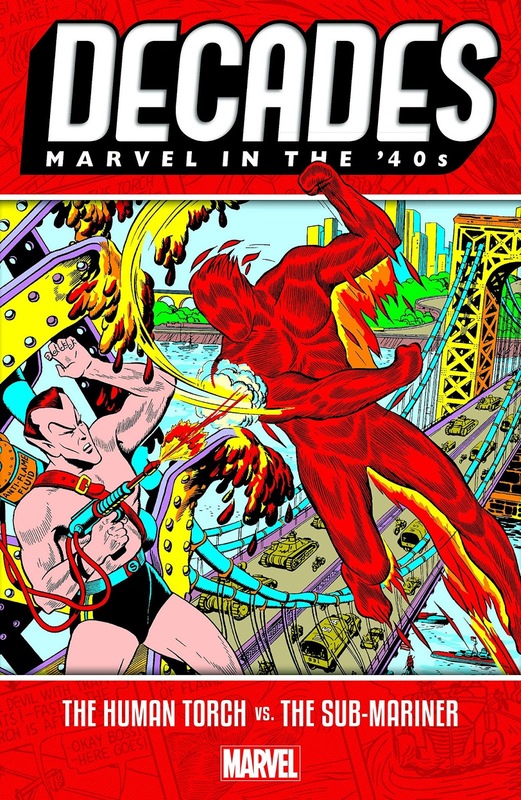 The original Human Torch and Namor the Sub-Mariner get along as well as fire and water, and several of Timely's greatest comics feature the twin titans clashing in fantastic feature-length fisticuffs! A rivalry for the ages is born when Namor, mistreated by the surface world, attacks New York - and the Torch stands in his way! As WWII rages, Namor decides to obtain peace by flooding the planet! Can the Torch and his young sidekick Toro bring Namor back to his senses? They'd better - because the Nazis are on the attack, and the two Golden Age arch-rivals must put their differences aside and unite against a common foe! Return of the Maestro?! 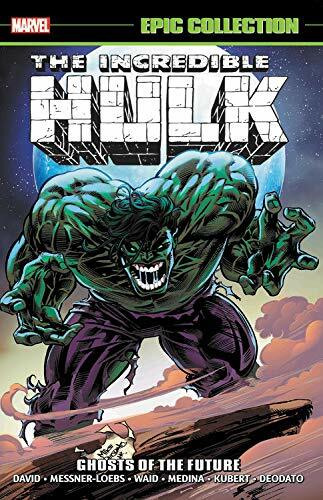 Major Matt Talbot, nephew of the Hulk's old foe Glenn, has set his sights on capturing the jade giant - and with Hulkbusters and the Ringmaster on his side, he might just succeed! Meanwhile, a terror group called the Alliance has pushed the world to the brink of nuclear war. But if the Leader's machinations are behind the Alliance's carnage, then why is the Hulk claiming credit...and why does he look like the Maestro? That's what Thor wants to know! As She-Hulk and Doc Samson take center stage, Janis Jones arrives from the future - but when Onslaught does the impossible and physically separates Bruce Banner from the Incredible Hulk, everything will change for the green goliath! The first twelve awe-inspiring issues of the most awesomely off beat series off all time - collected in one sense-staggering volume. Twelve titanic tales of triumph and tragedy in the mighty Marvel tradition! Spanning from: What if Spider-Man Joined the Fantastic Four? to: What if the Fantastic Four had Diff erent Super-Powers? Daredevil's secret exposed? The identity of Thor passed down to another? A new Hulk? Multiple Spider-Men? 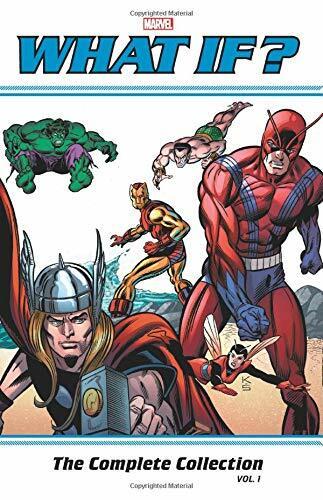 Some of the ideas that shook Marvel's foundation got their start right in the realm of remote possibility overseen by the wondering Watcher! But can even Uatu believe his eyes when Jack "King" Kirby rewrites himself and his fellow legends as the Fantastic Four? Horror comics from the early 1950s that the Senate and do-gooders reviled. 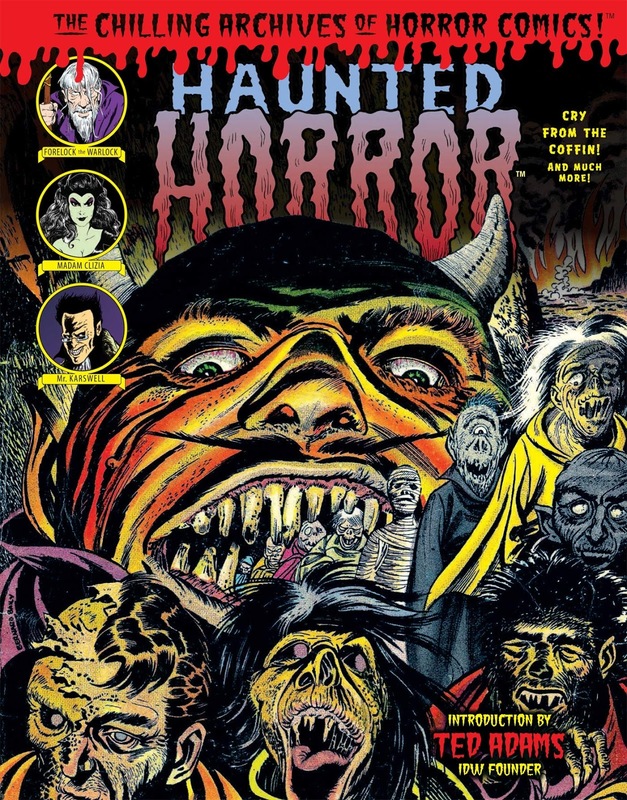 Lovingly restored, this striking, full-color tome showcases terrifying stories of dead walking and ghouls stalking, drawn by Alex Toth, Rudy Palais, Bernard Baily, and many more macabre masters. Part of the acclaimed Chilling Archives of Horror Comics. Collects stories from long-lost comics like Black Cat, Web of Mystery, Strange, Web of Evil, Weird Terror, and many more!